President Barack Obama won’t meet Israeli Prime Minister Benjamin Netanyahu on his trip to the United States in March. Netanyahu was invited by Speaker of the House John Boehner to address Congress on March 3. President Obama and high-ranking White House officials are upset by the invitation. President Obama says Netanyahu should not be coming to the U.S. so close to Israel’s national elections, which will be held two weeks after Netanyahu speaks to Congress. “I’m declining to meet with him simply because our general policy is, we don’t meet with any world leader two weeks before their election,” Obama said in an interview with cnn. Netanyahu’s decision to address Congress, even after the president’s displeasure, sends a strong signal about Obama-Netanyahu relations. You don’t defy the president of the United States unless the situation is desperate or relations are beyond healing. It has been reported that President Obama’s officials are currently in Israel trying to undermine Netanyahu’s attempt at reelection. Israel and the Obama administration have long been at odds over how to deal with Iran. Netanyahu will reportedly address the joint session of Congress to discuss Iran and its nuclear program. Israel wants to see Iran’s nuclear program abolished. It is pushing for more sanctions while President Obama keeps postponing sanctions as a negotiating tool. It appears Iran is a wedge in the U.S.-Israel alliance. Netanyahu does not support President Obama’s deal with Iran, which is to be announced in late March. 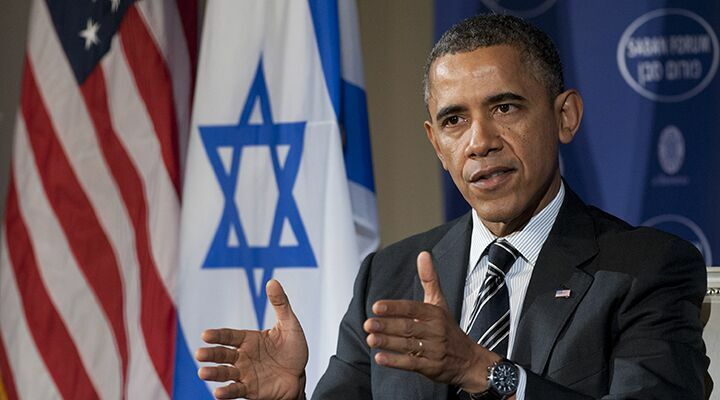 Sixty-one percent of Israelis believe President Obama will sign the deal regardless of Israel’s requests not to. The deal is set to reduce and eventually end sanctions on Iran in return for Iran agreeing to freeze its nuclear program. But how do you guarantee it won’t be restarted once the world has moved on? Netanyahu knows what Iran could do. His country is well within range of an Iranian missile. Iran’s ayatollahs and leaders have made no secret that they want to wipe Israel off the map. American leaders seem more concerned about upsetting Israel’s mortal enemy than supporting their strongest ally in the region. The U.S. seems to have forgotten that Iran has also sworn to destroy America. While America cozies up to its enemy, it’s humiliating and backstabbing its ally. America is supposedly Israel’s strongest ally. Watch as this once strong alliance continues to deteriorate. America’s alienation of Israel will cause Israel to look to Germany for help. Read “The Growing U.S.-Israel Divide” and Jerusalem in Prophecy to fully understand where President Obama’s most recent snubbing of Israel will lead.